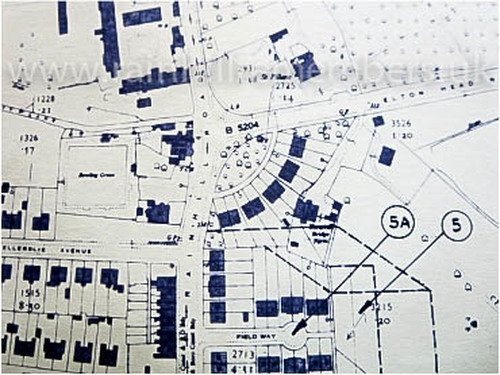 Robert was born in 1901 and lived at Hanging Bridge Farm which was at the end of Eltonhead Road near the junction with Rainhill Road. He was a farmer and son of Thomas and Mary. He had five brothers and two sisters. He attested in March 1915 but was discharged in November as it appears that he lied about his age when joining up in 1915 saying that he was 19. However, the 1911 Census shows his age as 10 so he could have been no more than 15. Apparently he entered France on 13th July 1915 as a driver. He was at home again on 17th July but gassed near Armentiers. 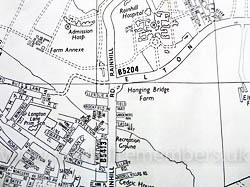 Hanging Bridge Farm is marked with writing although no building is marked at the junction of Elton Head Road and Rainhill Road. On this later map Hanging Bridge Farm buildings are marked and named partially surrounded by modern housing.